Amber Robinson graduated from Georgia Tech with a BS in Biomedical Engineering in 2006. She received her Masters in Public Health from Emory Rollins School of Public Health and is a PhD candidate in International Health at Johns Hopkins Bloomberg School of Public Health. She has also previously worked at the CDC as a research and evaluation contractor, and has lived and worked in Bangladesh and Nepal. Currently I am one month away from my defense of my doctoral dissertation at Johns Hopkins Bloomberg School of Public Health, where I am getting a degree in international health. Specifically my program is Global Disease, Epidemiology, and Control so we focus on not only disease in the traditional sense, but also social and behavioral experiences that could have an impact on health. I work in gender-based violence. My research is on intimate partner violence and how intimate partner violence experience has an effect on maternal and child health. My passion is in the prevention and mitigation of intimate partner violence experience, so I worked in Nepal. I lived in Nepal for a year, and we did a survey with a thousand women to measure the prevalence of intimate partner violence in our study area. We also did interviews and focus groups to learn more about experience and norms. I did that all in the context of a very large, very well-established community-based trials study site called the Nepal Nutrition Intervention Project, which has historically been associated with more traditional maternal and child health interventions like immunizations, vitamin supplementation, and essential newborn care practices like clean birth kits. That’s what I do now, but I’m coming up on a transition in life where I’ll be finishing my dissertation and then finding that next step. Do you have any idea what that next step will be? There are a couple traditional steps that you could take when you finish a doctoral degree. Most traditionally I think is the postdoctoral fellowship, which would allow me a lot of time to publish. There’s a lot of data that we’ve collected in Nepal and there’s a lot of opportunities for publishing data, which is always important, both for me in my career but also to just get that information out into the world where it can start making a difference. But then there’s also organizations like Care or the Bill and Melinda Gates Foundation, which would give me opportunities to work in the nonprofit sector. There’s the CDC here in Atlanta that does work on violence prevention, and there’s universities like Emory or Hopkins, so it’s a little bit of a fork right now, and I’m just trying to get to the end, which is graduating, and then kind of taking a slow approach to what the next step is. But I do like teaching a lot. I’ve had the opportunity to teach undergraduates at Johns Hopkins University, so I would ideally like to find something academic. How did you go from BME to public to health? When I was at Tech in BME, there was a clinical trials course. It was an opportunity for BMEs to go into a clinical setting (for us it was the Grady ER) and learn how to conduct human subjects trials. I was pre-med, so I already had the zeal to help people, and I thought I was going to do that through medicine. While I was in the ER and observing how the ER played out, I met a lot of doctors who did have MPHs. It’s common for MDs to have MPHs, especially in a front-facing discipline like emergency medicine, where you see preventative medicine isn’t as well-maintained as it should be in the US. ER doctors, especially, have more of a focus in population-based health. I would talk to those doctors and learn about how their MPH shaped their medical practice and learned about the differences between individual-level medicine and population-level health. So when it came time to apply for med school, I actually changed my mind and applied for MPH at Emory Rollins School of Public Health. I thought I would give myself that two-year program to decide if I really liked this approach or if I still wanted to go and do medicine afterwards. I figured it would be easier for me to do the MPH first and then go to med school, than vice versa. My first day at Emory, I loved it. I loved the perspective of the people I met, and I was completely enamored of the research that the professors I talked to were conducting. I loved the idea of travel and immersion in other cultures. This path towards helping people made my heart sing a bit more than I had thought it would at first. Since that first day, my goals sort of switched. For my Masters, I went to Bangladesh for 3 months to do my thesis data collection there. I focused on intimate partner violence there as well. 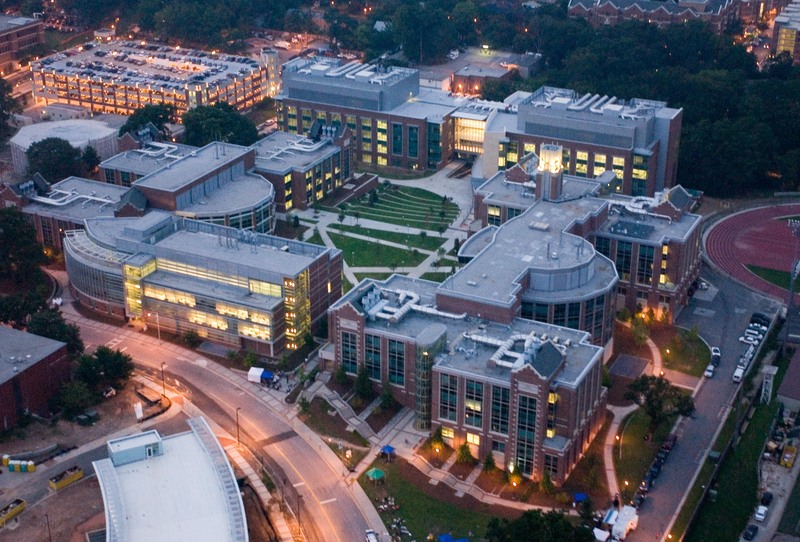 After I graduated, I worked at the CDC for 2 years as a research and evaluation contractor. And then I decided that I wanted to get more skills. The work experience showed me what things were marketable and what things I felt I needed more capacity in. So I decided to apply for PhD programs. I started at JHU in 2011 and I moved to Nepal in 2014 and did my data there. How was the experience of living in Bangladesh and Nepal? I loved the experience of immersing myself in a new culture and interacting with the people. I actually did the GT Lorraine program while I was an undergrad, so that definitely fostered my love for traveling and visiting new countries. Traveling through Europe and living in Dhaka are definitely very different experiences, though! Dhaka really prepared me well for living in Nepal. I split my time between the capital Kathmandu and a very small village near the border with Bihar. Our program really stresses primary data collection, so my professor would say that you can’t really get to know a place until you live there at least a year. So that’s what I did. I came back and forth to the US, but I was there for a full calendar year. I was there for the earthquake last year. That was really scary, but also one of those watershed moments for me. Just seeing the way people came together and seeing the sense of community really reminded me why I love the Nepali people so much – they created a very warm and welcoming home for me. Advice for freshman and sophomores? I see in highly motivated students that end up at Tech this desire to have life planned out – this really strong need to have the future mapped. I was that way; I wanted to have a list, and I really loved checking boxes on that list. Nothing brings me more pure unmitigated joy. I think, in hindsight now, I would suggest taking time to just get the college experience. Take classes outside of BME. It’s important to take classes from your program requirements, but it’s also valuable to sometimes take classes that are not on your requirements, so it gives you exposure to other disciplines. You never know until you try whether it’s something you really want to do. Like I had a shift from one discipline to another. Maybe BME is what you were looking for, maybe it’s not. Just being open to your life plan changing is important. One comment on "Amber Robinson – PhD in International Health"